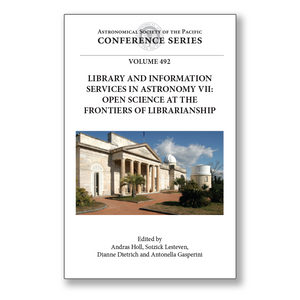 These proceedings present a snapshot of the state of librarianship and information services in astronomy. This volume is a part of a series, as the conference was the seventh in the sequence of LISA conferences. The success of the LISA conference series is reflected in the Special Libraries Association Physics-Astronomy-Mathematics Division Award in 2014, which was presented during the conference. While the print collections of astronomy libraries have been moved to storage at many observatories and departments, digitized texts and data have been made accessible on the internet. The availability, visibility, and processability of vast amounts of information transform science. Astronomers, working with astronomy librarians and informaticians, are pushing the frontiers further and further. Astronomers use the tools and databases described in this volume every working day (and in this case, every working night). Those who are interested in the machinery behind these services will find interesting contributions in these proceedings. Astronomy librarians, while helping scientists and students navigate the seas of new information, also have to deal with the preservation of the old information. It is not only books, catalogs, journals, and logbooks of observations that need their attention, but also photographs, drawings, and even instrumentation that require their care. Those interested in the historical side of astronomy will also find interesting papers in these proceedings. Malcolm Walmsley, Editor of the journal Astronomy & Astrophysics, discusses the present and the future of astronomy journals. While the future is difficult to predict, some trends are fairly obvious. The papers published in the proceedings of the LISA conferences, some of which are available in the ASP Conference Series, provide a record of the progress of scholarly communication.